I don't always comment, but I love reading your reviews. I love seeing these wild 80's-90's actioners pop up in my feed, and reading your thoughts on them. Many have wound up in my to-watch list based on your recommendation alone. Keep up the good work! 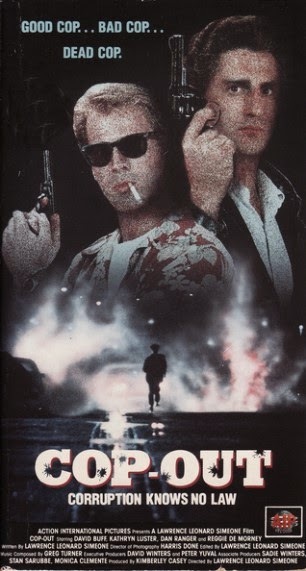 This one was OK, but the "other" Cop Out was definitely the better film. This was a tough sit for us. Also thought the Kevin Smith Cop Out was weak too. Way too long for a comedy. I thought it was just the right length, BTW did you get to see Kingsmen yet? Didn't get to see Kingsmen in the theater. Will have to rent it on DVD.